A woman facing deportation following her arrest for allegedly assaulting a man with a "Make America Great Again" hat is out of immigration custody and now waiting to face a judge. Rosiane Santos, 41, was arrested Tuesday near Falmouth, Massachusetts, according to U.S. Immigration and Customs Enforcement. She is a Brazil national, officials said. She pleaded not guilty last week in Falmouth District Court to charges of assault and battery and disorderly conduct for an incident at a Mexican restaurant on Feb. 15. Santos was arrested after she confronted Bryton Turner for his MAGA hat. She allegedly verbally assaulted Turner, who recorded the confrontation on video. 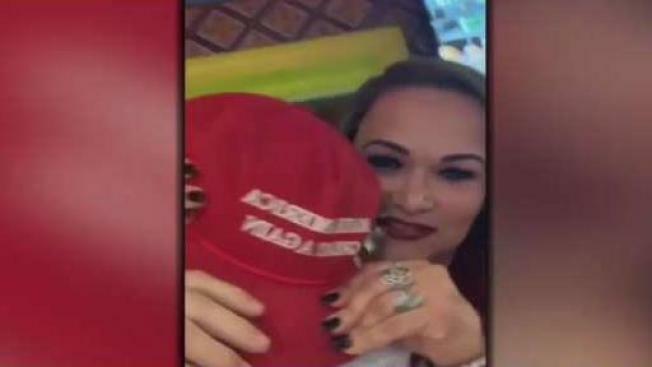 The woman allegedly grabbed his hat and later hit him in the head as she was being escorted out of the restaurant by police, according to officials. She was released on her own recognizance then was taken into immigration custody. ICE says Santos was given a notice to appear before an immigration judge at a future date. They did not say when her court date will be.